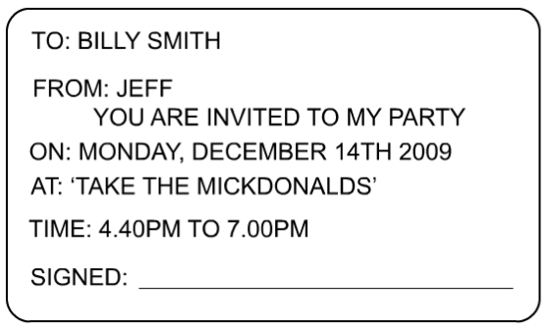 Below is a homemade party invitation for a young child to attend an exciting, entertaining children’s party. List six ways in which the invitation could be improved. What is the worst aspect of the party invitation? Explain your answer. 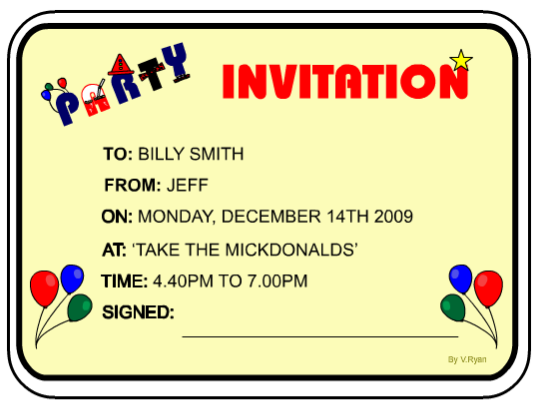 The children’s Party Invitation has been redesigned. 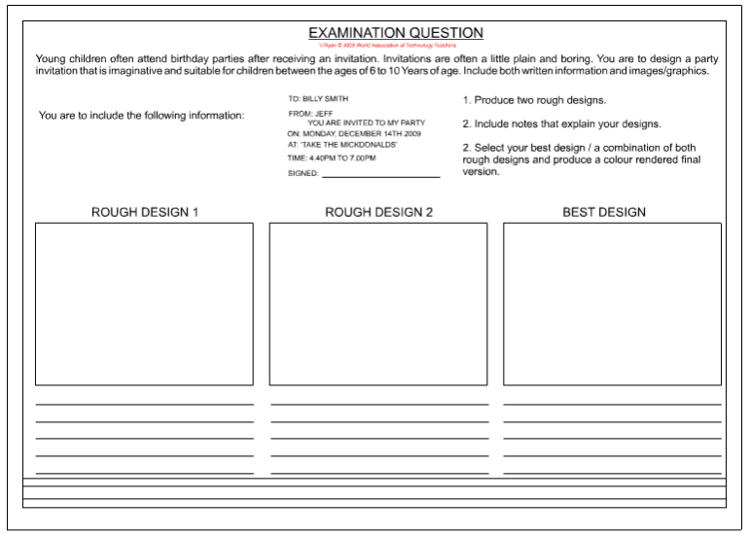 Evaluate the layout/design by answering the following questions. Does the colour scheme suit children aged 6 to 10 Years of age? Explain your answer. Are the images suitable for children aged 6 to 10 Years of age? Explain your answer. Could the layout be improved? For instance, an alternative border. Explain your answer. Is there any more information / details to be included?